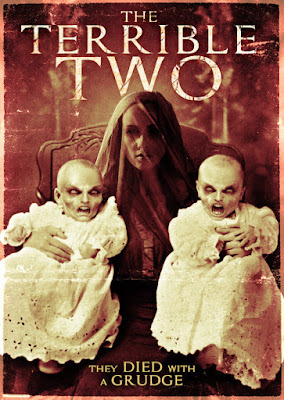 This is a trailer for The Terrible Two. It was written and directed by Billy Lewis, and stars Donny Boaz (Dallas, 13 Sins), and Cari Moskow (One Tree Hill, Butchered), Reid Doyle (Six) and Devin McGee (One Tree Hill, Max Steel). It will be released on VOD on March 6th from Uncork'd Entertainment. Check out the synopsis and trailer below. "Albert and Rose Poe bought their dream house seven years ago in Greenfield, NC. They had no idea of the unspeakable horrors that took place in the house before they moved in. If they had known, then their children, Addi and Jade would still be alive. Instead the Poes now find themselves imprisoned in the house they thought was their safe place, and battling their two daughters for survival."